Sydney’s median house price is down 6.5% over the year to September to $1,101,500. The value of lending for housing in NSW has fallen by 8.61% over the same period. Melbourne’s median house price is currently down 3.2% to $853,000 as of the September quarter – which indicates Melbourne’s market is around 6 months behind Sydney. The fall has been led by investors, but loans to owner occupiers have also declined. There is a logical relationship between growth in housing loans and house prices as most purchasers use finance to purchase property and the more they can borrow, the higher the price they can pay. The close relationship between growth in finance and house prices can be seen over the past 18 years in the chart below. One of the key indicators for predicting capital growth is the availability of credit. Without finance, home buyers and investors will have a hard time buying! There are several reasons for the decline in housing finance provided; the key one being that lending criteria has gradually become stricter over the past couple of years due to APRA’s change in lending regulations. Investors have been hit the hardest. In addition to higher scrutiny around living expenses, lenders are going over investor’s income and deductions with a fine-tooth comb. Most lenders have also removed the benefits of negative gearing in their serviceability calculators. The positive thing about the above chart is that it shows that if lending growth increases today, house prices are likely to increase in 6 months time. Lending to owner occupiers has already ticked up recently as seen in the chart below and is in fact higher than it was two years ago. First home buyers are also showing strong demand. Lending to investors is still not growing though and is unlikely to show any major recovery until lending restrictions are relaxed. In the chart below, it shows lending to investors has declined significantly. 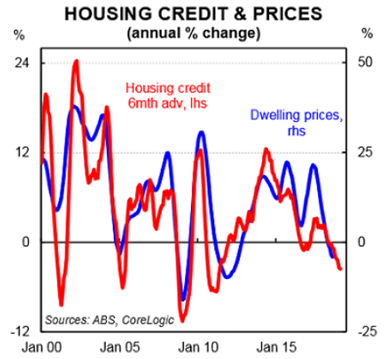 However, there is a slight uptick in credit for owner occupiers. Obviously this is an extreme example comparing family suburbs with an inner city suburb dominated by units, however it demonstrates the potential risk of buying a unit in an area filled with investors if that group of buyers is unable to obtain finance (or refinance). On the other hand, areas popular with owner occupiers will be more resilient in the short to medium term should investors need to sell up. Characteristics of suburbs or regions likely to show stronger price growth over the next few years include close proximity to the CBD or a major employment hub, continued population growth and increasing local amenity and infrastructure. The well-known ‘ripple effect’ and gentrification are also likely to have a positive effect on house prices. Frenchs Forest - due to its relative affordability to suburbs over the Roseville Bridge, gradually increasing housing density, only 10% rented stock and opening of the new Northern Beaches Hospital with 488 beds. Lewisham - due to strong transport links with light and heavy rail options as well as affordability compared to neighbouring suburbs, 37% of dwellings rented. Earlwood - due to close proximity to the CBD, relatively large block sizes and buyers being priced out of the Inner West, 18% of dwellings rented. St Peters – only 10 minute drive to the city, undergoing industrial conversions and gentrification, many traditional weatherboard homes and terraces ready to renovate, and neighbours to popular Erskineville and Newtown, and 37% of dwellings rented. Rosebery - terrace homes with access to improved Green Square amenities and rapid gentrification, 32% of properties rented. Gladesville – Only 9kms from the CBD, larger land sizes, relatively good value for money compared to adjacent suburbs, popular with Inner West residents and has many post federation homes ripe for renovation (31% rented). Even within the above areas, there are good and bad areas and properties. In the current real estate climate, I recommend buying quality property with no major drawbacks such as being positioned on a main road or next to an apartment block. Quality properties in desirable suburbs will always be in short supply and will ensure their continued price growth as demand outstrips supply. 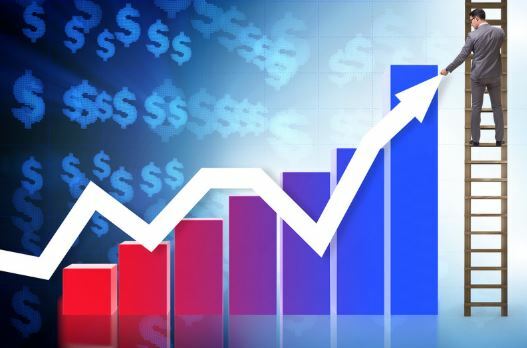 Well located properties with a land component and/ or good attributes that are above average for the street/ area will always attract strong market interest. And these quality properties are maintain their value in slower markets. If you are looking to buy a property that will not only retain its value but grow in years to come, give us a call now because there are some fantastic opportunities available in the lead up to Christmas! Tell us your property brief or call us on 1300 655 615 today.